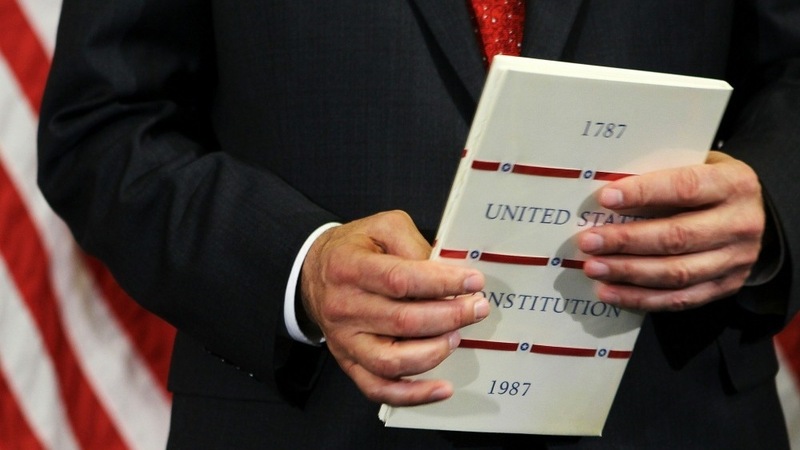 U.S. Rep. Darrell Issa (R-CA) holds a copy of the U.S. Constitution during a ceremonial swearing-in on Capitol Hill January 5, 2011. House lawmakers will take up a spending cut bill: the AP says it's a five percent cut taken from lawmaker and committee budgets, worth about $35 million dollars. Former Illinois Gov. George Ryan with his wife, Lura Lynn, right, in April 2006. Relatives of Lura Lynn Ryan are with her at a Kankakee, Ill. hospital; the Chicago Tribune reports she's gravely ill after her latest round of chemotherapy. Her husband, former Gov. 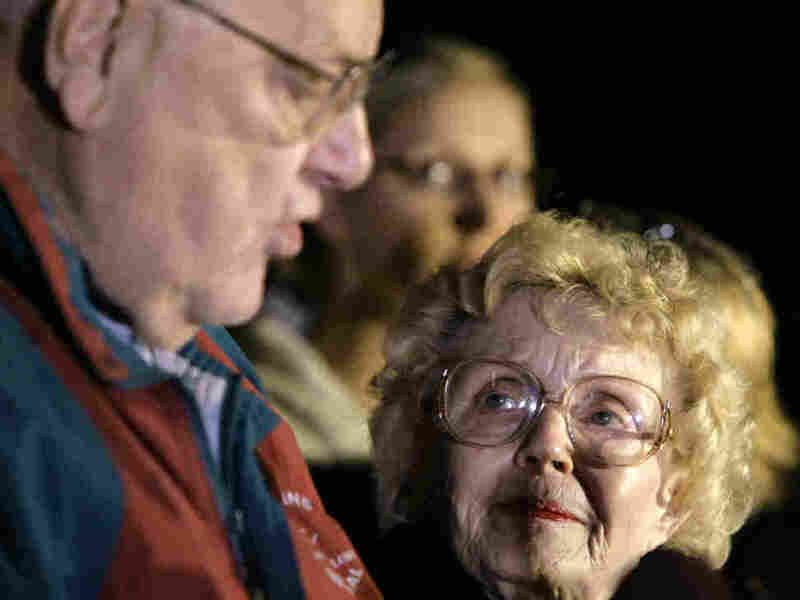 George Ryan, remains incarcerated at a federal prison camp in Terre Haute, serving his six year prison term for racketeering and fraud convictions. He was denied bail last month in an effort to be with her during her final days; now his attorneys are asking a federal court to allow Ryan to spend days at his wife's bedside and return to a local jail at night.